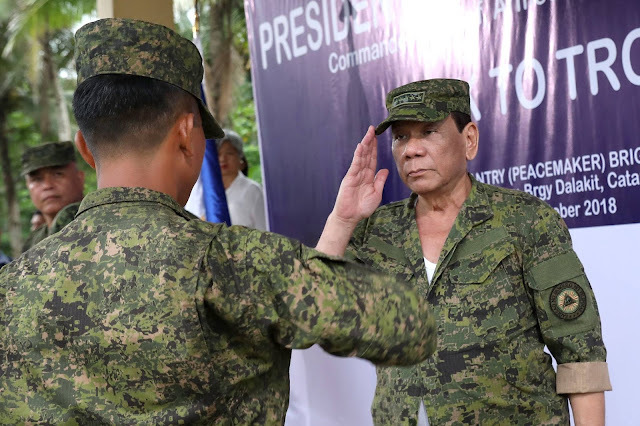 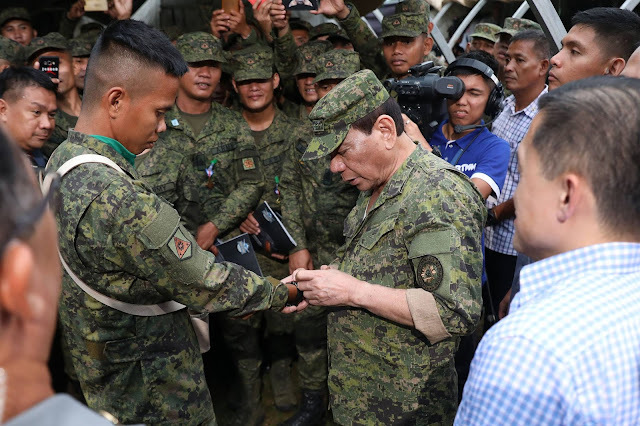 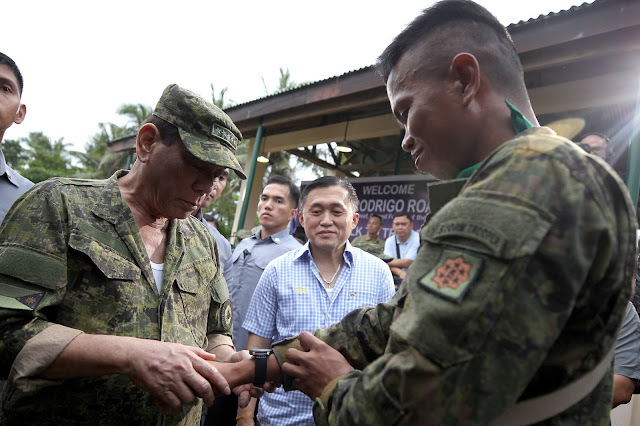 President Rody Duterte talks to the troops of the 803rd Infantry Brigade (803IB) of Philippine Army (PA) at Camp Juan Ponce Sumuroy (CJPS) in Catarman, Northern Samar on October 2, 2018. 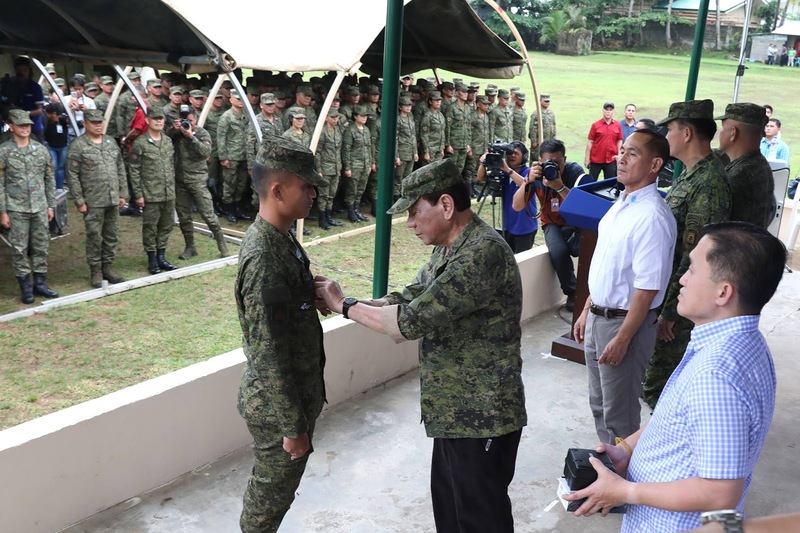 Also, the President leads the donning of ranks to the newly promoted military personnel and the conferment of bronze cross medals and military merit medals to outstanding soldiers of 803IB. 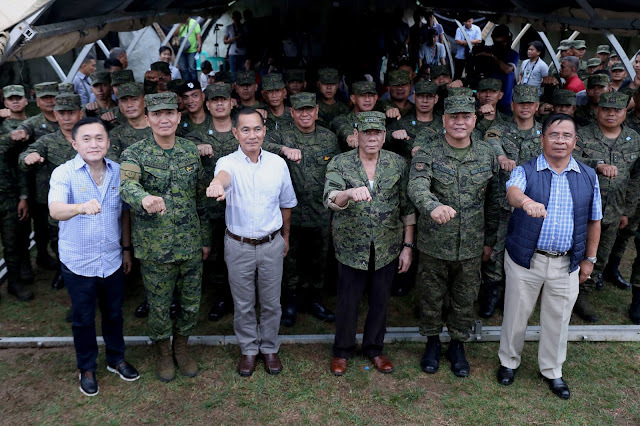 President Rodrigo Roa Duterte strikes his signature pose with Secretary Christopher Lawerence 'Bong' Go of the Office of the Special Assistant to the President, Defense Undersecretary Reynaldo Mapagu, Presidential Adviser on Military Affairs Arthur Tabaquero and officials and personnel of the 803rd Infantry Brigade (803IB) during his visit to Camp Juan Ponce Sumuroy in Catarman, Northern Samar on October 2, 2018.